Swell wave height: 0 ft.
During the morning I spent a considerable amount of time in the pilot house on the bridge. It was imperative that I review the instrumentation and their functions as they relate to the ship’s navigation. Among the navigation instruments are the Global Positioning System Navigator which shows the latitude, longitude, speed over ground and course over ground; the Gyro Digital Repeater which copies from the master compass which provides the true heading; the fathometer which is the echosounder from the bottom of the ocean that listens for how long it takes for sound to come back to the top; the magnetic compass which is the standard compass backup for the gyro; the two-bands Auto Radar Plotting Aid (ARPA) which can be used to get location and pertinent information of nearby vessels; the rudder angle indicator; the steering stand which has two steering positions of either hand or automatic; and the Machinery Alarm and Control System (MACS) which has multiple functions to include main engine monitoring, water intake, and electrical steering to name a few. The afternoon was devoted to collecting several bottom samples in the Arriaga Passage which is a channel situated north of Noyes Island. The samples were collected with a specially-designed backpack which contains a GPS and Differential GPS (DGPS) antenna and a laptop with appropriate software. 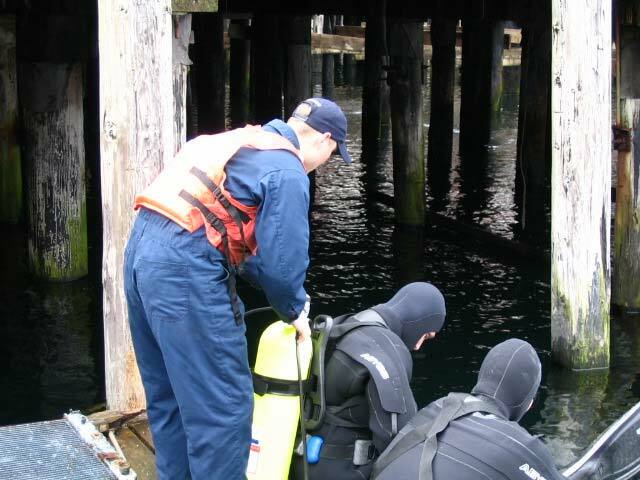 An open metal clamshell scoop which is attached to at least 300 feet of line is used by the surveyor to place in the water. The line is loosened so that the scoop is able to reach the floor of the water without hindrance. Once the line has stopped, the surveyor (or two) reels the line back up to the boat where the mouth of the scoop is opened to identify its contents. The contents are then recorded on the laptop. This data is stored for later analysis of the ocean floor. The bottom samples assignment was a good workout! It was hard to return the starfish to its home, but an unoccupied clamshell will serve as a suitable souvenir. In cooperative groups, create a graphic organizer that identifies and illustrates marine bottom-dwelling organisms. Be certain to isolate similar characteristics of organisms. 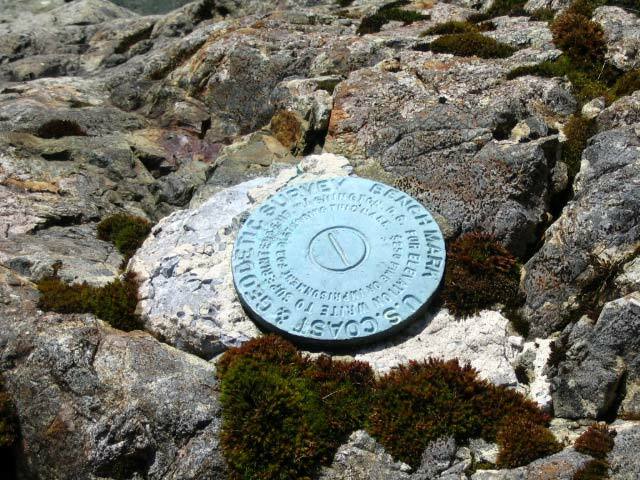 Explain the disadvantage of absolute reliance on a magnetic compass for navigation. Sea wave height: 1 ft. The team is also responsible for completing the level run assignment. The purpose of the level run is to level the primary benchmark to the staff stop. This procedure provides the elevation of the staff stop. In helping with the level run, I assisted the Tides Director in the recording of rod readings. These measurements are read in three parts: top thread, middle thread and bottom thread. Ideally, thread intervals should be equal. However, if the thread intervals are not equal, they must be within 2 to be an acceptable reading. Many of our readings were acceptable upon the first recording. For the few readings that were not acceptable, the software in the I-Pod associated with the 3 stadia leveler would indicate as such. Readings were redone accordingly. In addition to providing assistance to the Tides Director as a recorder, I participated in holding the rod at benchmark locations for level readings. The indication that the rod would be level is when the surveyor succeeds in moving the rod so that the bubble inside the gauge would sit on the center circle. The tide staff observation was my third assignment for the day. The completion of these observations provides you with the elevation of your orifice to your staff stop. The tide gauge is located on the pier leg facing the benchmarks. The boat was placed in a vantage spot that enabled a survey tech and I to monitor and record the tide height every 6 minutes for three hours. This recorded data would later be compared to the data received by the tide gauge set-up on the pier. It was great to get out of the bitter, cold, sleeting weather conditions to the warmth of the ship. The food on the FAIRWEATHER is absolutely delectable! In which two months are the largest tidal ranges? Swell waves height: 2 ft. I assisted in drilling with the benchmark recovery and installation team. The historic benchmark was located about 15 feet from the low water line and the next four benchmark locations were set at 200 feet apart from one another in somewhat of a straight line from the historic benchmark. Benchmarks are important because they represent permanent marks of the land leveling system. The tidal gauge will automatically read water pressure which it then converts to depth every six minutes over the next 30 days in order to determine the constituents of the tide-generating force. Determining these constituents allows the survey technicians to form possible hypotheses related to ranges, heights, rates and future directions of tides. 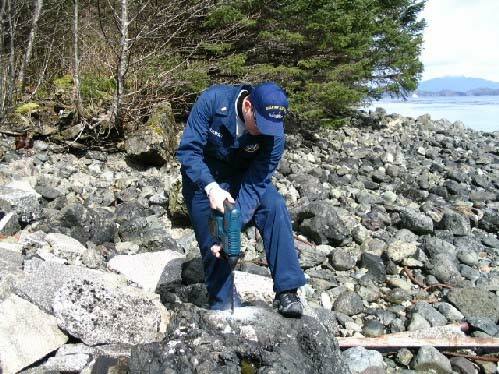 Ensign Matthew Glazewski drills to establish a benchmark on Noyes Island, AK. At the time of this writing, the weather was as stated above; however, during the tides party the weather was miserable with intermittent showers of sleet followed by sunshine and overcast. The kindness extended to the crew by the Noyes’ Island caretaker will be remembered. Give some possible non-human factors that may have an effect on the decision-making of tide gauge location. I attended the navigation meeting in preparation for today’s departure from home port. The personnel responsible for conducting the navigation meeting and providing all of the essential information for exploration are junior officers who are trained in atmospheric science, oceanography, mathematics and navigation technology. Several charts were displayed to show the route of travel and the location of the intended areas for research. The first priority of the project is tide gauge installation. One particular area of the travel route (Snow Passage) will present a challenge because it is hard to go through during this time of year as a result of the currents in the narrow parts. One of the areas of research (Gulf of Esquibel) contains lots of navigational hazards such as rocks and low water levels near high water levels. The FAIRWEATHER only needs four fathoms of water to navigate, but generally stays in water deeper than ten fathoms due to the nature of the seafloor and the age of the charts. An in-depth explanation of the survey tech procedures in data acquisition and processing was provided by a member of the survey tech team. Survey techs are given a charted sheet that represents their area of concentration. In order to do this, the tech first collects raw data, including depth information, with the Global Positioning System (GPS), the Shallow Water Multibeam (SWMB), and the Position and Orientation System for Marine Vessels (POS-MV) in operation at the same time. The POS-MV does the inertial motion of the vessel’s roll, heave, pitch, and gyro positions. Next, the tech uses processing systems as a visual way to look at the surface of the water. The third and fourth steps are to apply motion corrections and tide corrections. The fifth step is to create the sound velocity profile based on water conductivity, temperature, and density. The next step is to combine each of the files into one file – a concatenated file. Following is the step involving computing total propagated error. This will result in the error value based on error associated with sonar data. Step eight is for the tech to make a digital terrain model which is a basic grid from XYZ data. The final step is to view or look for errors caused by the system. These errors may indicate dangerous uncharted errors. First time feeling the boat leave dock was a rush! The whale sighting was awesome! Too far from my cellular phone extended network coverage to call home and share with family. Explain the importance of water conductivity, temperature and density to sound velocity. Using course software, produce a map that indicates the bodies of water associated with the Gulf of Esquibel. Identify those areas that have less than 30-40 fathoms. During the morning I concentrated on the Electronics Department to see how this operation is run. This department covers a significantly large portion of the ship in several locations. The Chief Electronics Tech explained the functioning of the iridium and INMARSAT satellites. The iridium satellite is used for low speed communication such as the telephone and e-mail. This is primarily used at sea for hourly email transit except when launches are out. The iridium also has a tie-in for sensors such as wind speed and barometric pressure. The INMARSAT satellite is for high speed communication such as voice, faxes and two-way data transfer. The management of these satellites, the Automated Information System (AIS) and all other electronic/electrical systems for the ship are managed, coordinated and maintained by the Electronics Department. The afternoon was spent on one of the launches to observe survey technician launch operations. During the training there was a demonstration of the use of several components of data acquisition and processing. Some of the data that is collected is sonar, boat voltage, vertical waterfall, bathymetric in 2-D view, position and orientation, heave, distance and altitude. All of this data is then processed and becomes the responsibility of the survey technician to combine the data into a single file, known as a concantenated file. I appreciate the ability to view the hydrographic navigation charts in my room through INMARSAT. This allows me to know where we are while preparing for the day. Thanks to the Chief Electronics Tech for giving me the ship tracker web site for students and other interested persons. I woke up in time for breakfast at 0700. I was joined at breakfast by the Commanding Officer, the Executive Officer, and the Chief Electronics Technician. The conversation centered around the different careers that exist on the ship. In addition to the careers, discussion was had regarding the ship being analogous to a city. The XO gave me a tour of the engine room. Amidst all of the engines and associated technology it was clear that the engine room could represent a city public utilities department and waste management facility. The sea water is the readily available water source that is filtered through a distillation process to be used on the ship for all purposes. The idea that the engineers are responsible for treating the water that is used on the ship is a credit to their knowledge and stamina. I attended the briefing meeting conducted by the Field Operations Officer and the Chief Survey Technician. Several handouts were given and explained in reference to guidelines for this field season: presurvey, data acquisition, processing and deliverables. These guidelines were synonymous in its most simplistic form with what I have presented to my students in preparation for laboratory experiences. Acronyms were used throughout the meeting, but I was able to follow along with the language thanks to a survey technician’s thoughtfulness in providing me with three pages of acronyms and their meanings. As a part of the meeting, the Senior Survey Technician presented CUBE software. This software completes data analysis to offer the user possible hypotheses. The Chief Survey Tech informed the techs against simply relying on the hypotheses offered by CUBE. After lunch, I spent a considerable amount of time on the bridge checking out the weather monitoring instruments and the navigation technology. The weather log is manually completed every four hours while the ship is docked and every hour while at sea. The weather monitoring instruments and navigation technology range from simplistically designed wet/dry bulb thermometers for temperature readings to more complex in form and function technology such as the ECDIS (Electronic Chart Display Information System.) The ECDIS has the capability to overlay radar on in use charts and display information about specific ships within the VHF radio range. For example, information about a 1500 ton ship that is within 40 miles of the FAIRWEATHER can be displayed on the ECDIS. During the early evening I went to Settlers’ Cove to visit the rain forest. A bald eagle and two river otters were spotted feeding in the water. Lush foliage and trees created a moderately warm and moist environment in the midst of the surrounding cold temperature. What is the functional difference that exists between global positioning system (gps) and differential global positioning system (dgps)? Compare the FAIRWEATHER survey technicians’ field survey guidelines to the Richmond Public Schools model for experimental design. 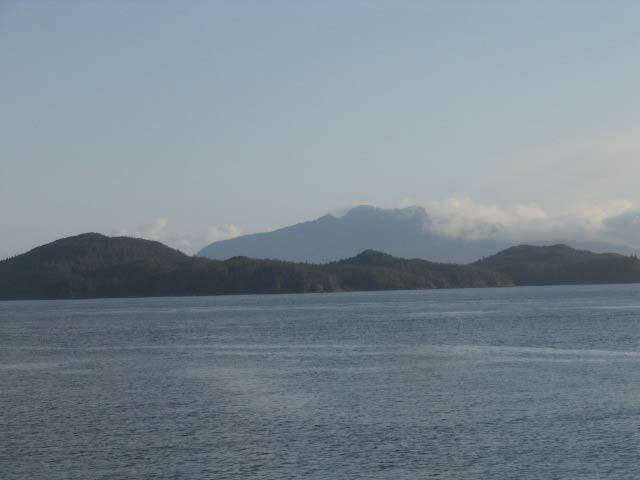 Provide a possible explanation for the Settlers’ Cove rain forest environment within the relatively cold environment of Ketchikan.